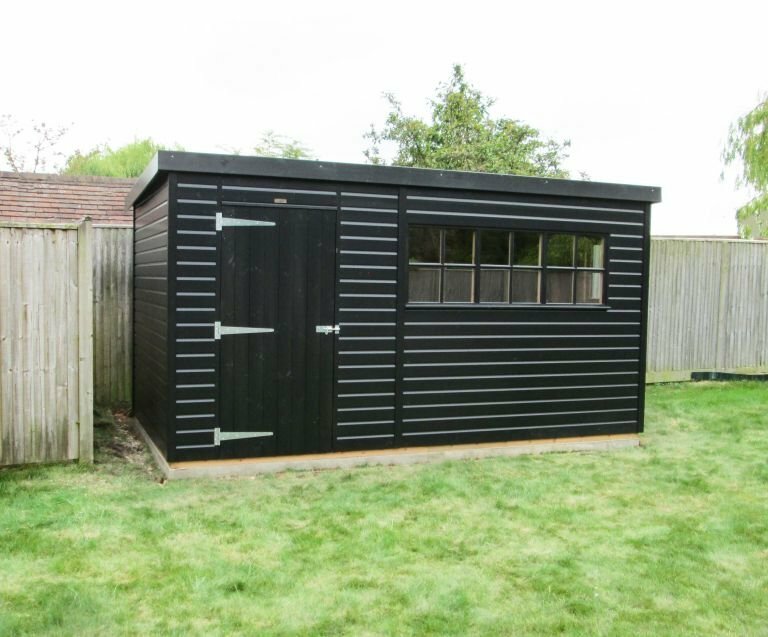 This sturdy Superior Shed is 2.4 x 4.2m in size, and it has been installed in our customer’s garden in Marlow, Buckinghamshire to use as both a storage shed and a workshop for the customer to potter around in. With this shed, as with all our garden buildings, a stress-free, professional delivery and installation process was undertaken as part of our customer-focused service. 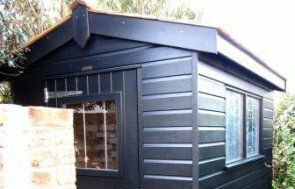 Sikkens is the timber treatment used on this shed, in the colour Black; Sikkens is a translucent timber treatment, so as well as protecting the timber, it also helps to enhance the natural beauty of the timber. This shed has a pent roof, keeping it below 2.5m in height, and so allowing the customer to avoid having to apply for planning permission. Heavy duty felt has been used to protect the roof. Georgian windows help to add a more traditional style, and inside, under the windows, is a workbench to provide the customer with a sturdy surface to work on. The windows have been double glazed to help keep the heat in, and there is also an electric pack to allow the customer to use power tools inside. Black guttering along the back provides the final touch, which will help to keep rainwater off the back wall. For more information on our range of Garden Sheds, please contact us, use our online building planner tool to create your own ideal shed, or simply click the link below to be directed to a dedicated garden shed page.